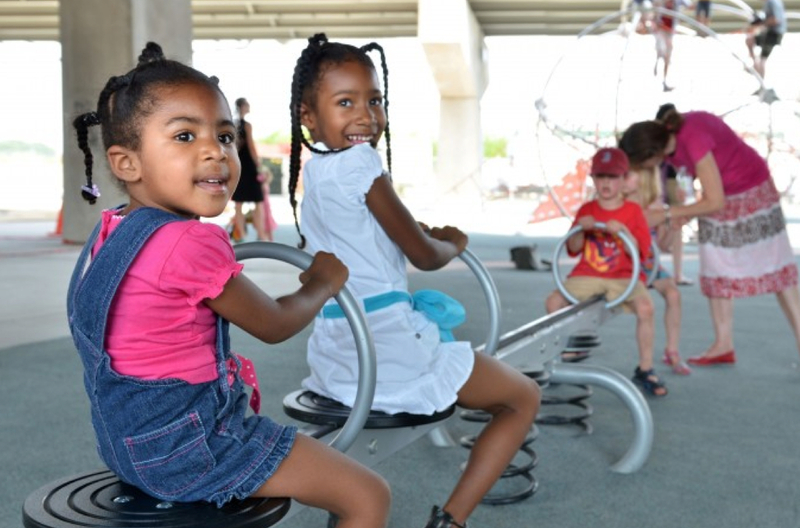 An underutilized urban wasteland, a drive by blight for sore eyes has been transformed into parkland with a playground in downtown Toronto. This component of WATERFRONToronto’s West Don Lands project is the largest repurposing of underpasses in Canada and the first of its kind in Ontario’s capital. The total cost for the 1.05 hectares (2.7 acres) park is budgeted at $4.7 million. 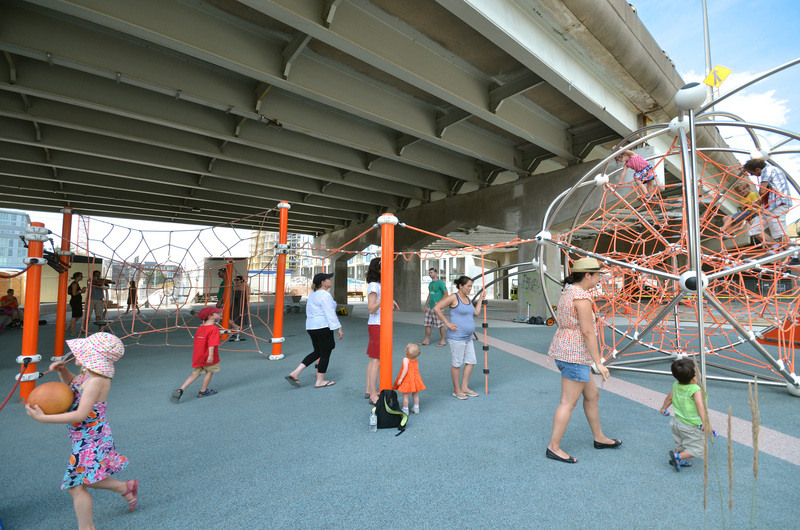 Underpass Park’s Phase I which includes a children’s play area is now open. The entire project is scheduled for completion in the spring of 2013. Here’s a video of construction at the site last fall that shows some of the already installed playground equipment. Those who live in the new residential spaces being created as part of the overall redevelopment of the area will appreciate an opportunity to enjoy this small oasis. I wonder though about the noise and pollution levels caused by the steady stream of cars overhead. 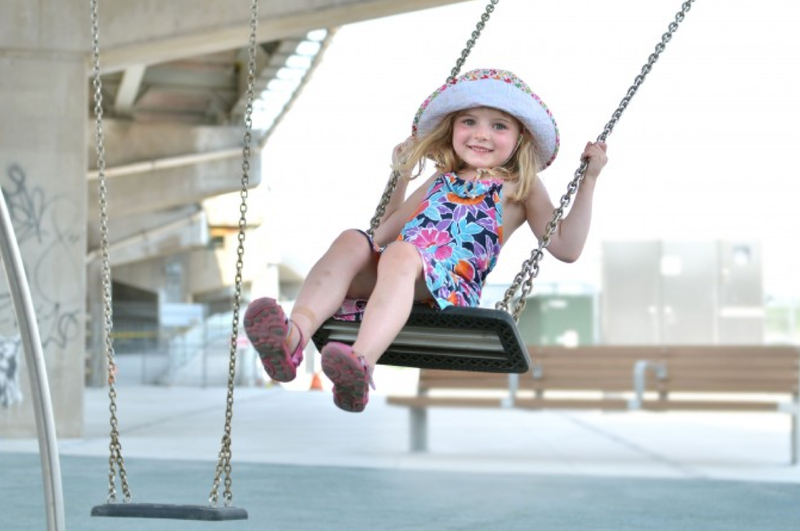 Toronto Star urban issues and architecture journalist, Christopher Hume, sees some greater significance in the creation of this park as it relates to Toronto’s overall development. There is much of the same sentiment in an opinion piece published earlier this week in the Toronto Star. Kudos to WATERFRONToronto for the innovative spirit in the remodeling of yucky urban blah. In Halifax we have spaces in the urban core that could benefit from this kind of deep makeover. Do you have any examples of similar projects in your city – recreating beauty and useable space from post industrial neglect?